Bool's Flower Shop has been serving the Ithaca area since 1894. As Ithaca's oldest flower shop our reputation for exquisite flowers, creative designs and exceptional service has grown over the years. Our commitment to service and quality has been recognized by readers of both "The Ithaca Journal" and "The Ithaca Times" by voting us the "Best Flower Shop in Ithaca." Our experienced staff is always eager to assist you with any floral need. From a simple bud vase to a large formal wedding, our attention to quality and service is guaranteed. *Our shop is open from 8:30 a.m. to 6:00 p.m. Monday-Friday and from 8:30 a.m. to 5:00 p.m. on Saturday. We are closed on Sundays. 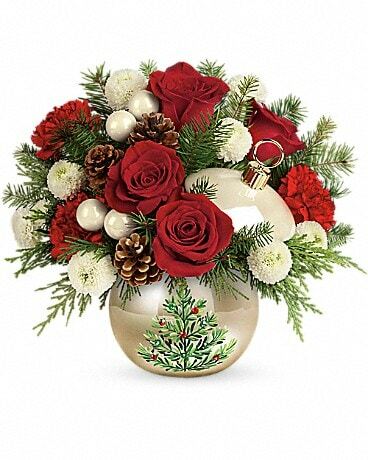 To help assure on-time delivery during the busy holiday season, place your order at least 1 day prior to the following major holidays: Thanksgiving, Christmas, New Year's Day, Valentine's Day, Easter, Administrative Professionals Week, Mother's Day, Memorial Day, Father's Day, Independence Day and Labor Day. Our shop will always be closed on the following holidays: Thanksgiving Day, Christmas (December 25 and 26) New Year's Day, Independence Day and Labor Day. We deliver to Ithaca and other surrounding areas, including Cornell University and Ithaca College. We also offer worldwide delivery. We will do our best to accomodate all deliveries outside of our normal delivery zones, but will be based on our current delivery schedule and will be subject to higher than normal delivery charges. Please call and speak with our staff for more information. A local delivery fee starting at $10.00 will be added to each order, for each address. (For deliveries outside our local delivery area, this fee may vary.) U.S. orders must be received before 12:00 p.m. in the recipient's time zone to assure same-day delivery. Orders received after that time will be delivered the following day. We will do our best to accommodate deliveries at specific times of day, but we cannot guarantee it. We are unable to make deliveries on Sundays (unless specific arrangements are made and may be subject to higher or additional fees) Otherwise, deliveries requested on this day will be delivered the following business day. Delivery of orders to rural route addresses or cemeteries cannot be guaranteed. However, we always do our best to accomodate. We will be happy to accept your international orders if you call our shop directly. We are unable to accept international orders over the Internet. All international delivery requests need to be made 48 hours prior to desired delivery date. We do our best to make all deliveries personally to the recipient, however, there are times that we may leave a delivery if no one is home to accept the delivery. Packages will be left at front door of residence unless otherwise noted to leave at another location (ie garage, side door, covered porch, etc.) We also take into consideration the weather conditions (wind, heat, cold, etc.) so if we deem it to be unsafe the delivery will come back to the store and we will leave a door tag as well as a voicemail or email message with the recipient letting them know a delivery was attempted. As soon as we hear back from them we make arrangements to re-deliver.